A streamed gaming service from Amazon not only would complement what Amazon is already offering in streamed media — which today includes video, music, photo storage and more — but it will put Amazon squarely in competition with those that are working on, or have already launched, their own streamed gaming efforts. 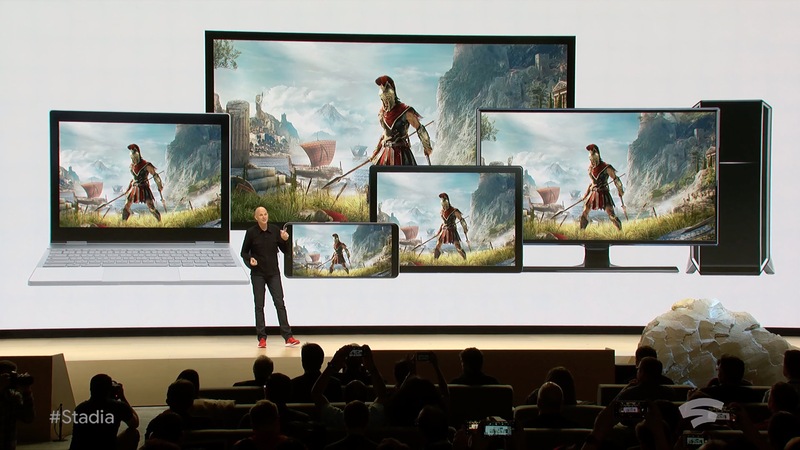 Players include Sony’s PlayStation Now, Microsoft, Google, Nvidia and Electronic Arts. To be clear, Amazon already offers streamed gaming in a limited format. Prime subscribers get access to “Twitch Prime,” which provides users with free games every month, along with select free in-game perks. This is separate to Twitch’s mainstay product, a video streaming service that works alongside other games creating a social network of sorts, where users watch each other playing and commenting on playing games. When Amazon acquired Twitch in 2014, many wondered if that would lead to it launching a bigger gaming service. That possibility was bolstered when Amazon acquired U.K. cloud gaming backend specialist GameSparks (in 2017 as we first reported, although only confirmed by Amazon in 2018). GameSparks’ technology has already been deployed in Amazon’s AWS service — which has a dedicated business targeting games publishers, providing everything they need, from gaming technologies to server space, analytics, backend services and more. That is also a strong sign of how Amazon has quickly integrated the tech into its infrastructure already, and already has all the tools it needs to build a consumer service of its own. For those who are selling services in those other areas — and Amazon is one of them, by way of its Prime-fueled Amazon Music, Amazon Prime Video and its Fire TV service — providing a gaming platform not only could make the overall service more “sticky” but could attract new consumer Prime subscribers who might come specifically for the games. But those are not the only weapons Amazon has in its arsenal. As we noted this week, we’ve seen very little application of Amazon’s AI muscle — all the voice services that have completely excited consumers, and its work in augmented reality — in media services beyond the Echo devices. There are some juicy tidbits in The Information story around the bigger news that Amazon is eyeing up a streamed gaming service that point to some of the challenges it might be facing.